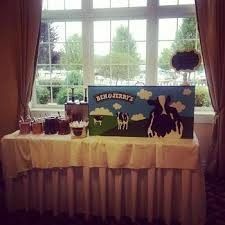 Ben & Jerry's Catering offers ice cream catering for weddings and events in Watkins Glen, New York. 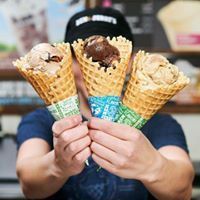 Ice cream lovers rejoice — more than 27 different ice cream flavors are available and you can choose to have them in cones, cups, sundaes, smoothies, ice cream bars, or ice cream cakes. 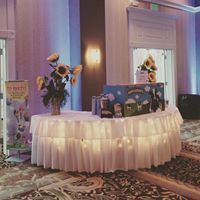 The dessert is a fun and important aspect of your event, and ice cream enthusiasts will enjoy all of the different options Ben & Jerry’s Catering has to offer. 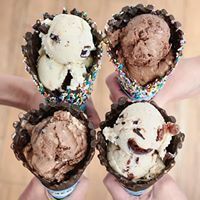 You can choose to have a cup or cone party with four of your favorite flavors of ice cream, frozen yogurt, or sorbet. 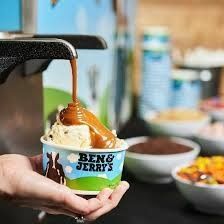 Another option is a pint slice party with individually wrapped slices of ice cream with a chocolate coating. 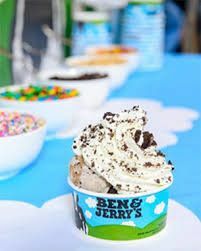 If you’re looking for toppings to enhance your ice cream eating experience, the sundae party is a great option. 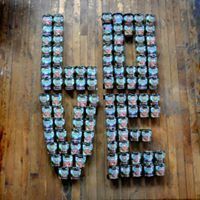 This includes four of your favorite flavors of ice cream, plus hot fudge, caramel, whipped cream, nuts, and other sweet toppings. Lactose-free, nut-free, and vegan options are avaible for all party choices.